It’s been an interesting week. A lot of mixed feelings. Kid #1 will start his 2 years of National Service today – a huge milestone in any young Singaporean man’a life. A lot of thoughts running through my head…where did my baby go? Will he annoy his officers by talking back to them? How will the messiest kid in the world keep his things in order? 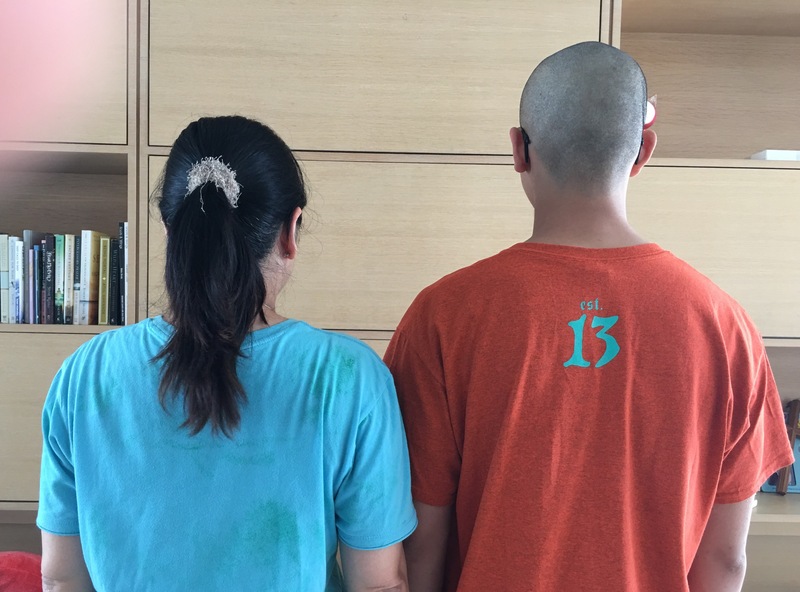 I never ever shaved his head even as a baby…yikes that’s his scalp!!! And yes, without me realizing, kid#1 is taller than me and ready to walk into his adult life without me. Ouch. Yesterday we had a foray to NTUC to pick up clothes detergent, polishing cloths, insect repellent and a variety of things that seem to be essential in a national serviceman’s life. At the end of it, his request was for Guy Fieri’s Pressure Cooker Beef Brisket that he had come across on YouTube. The boy loves his beef and in the army, beef is usually not on the menu because it is usually not eaten by Hindus and Buddhists. 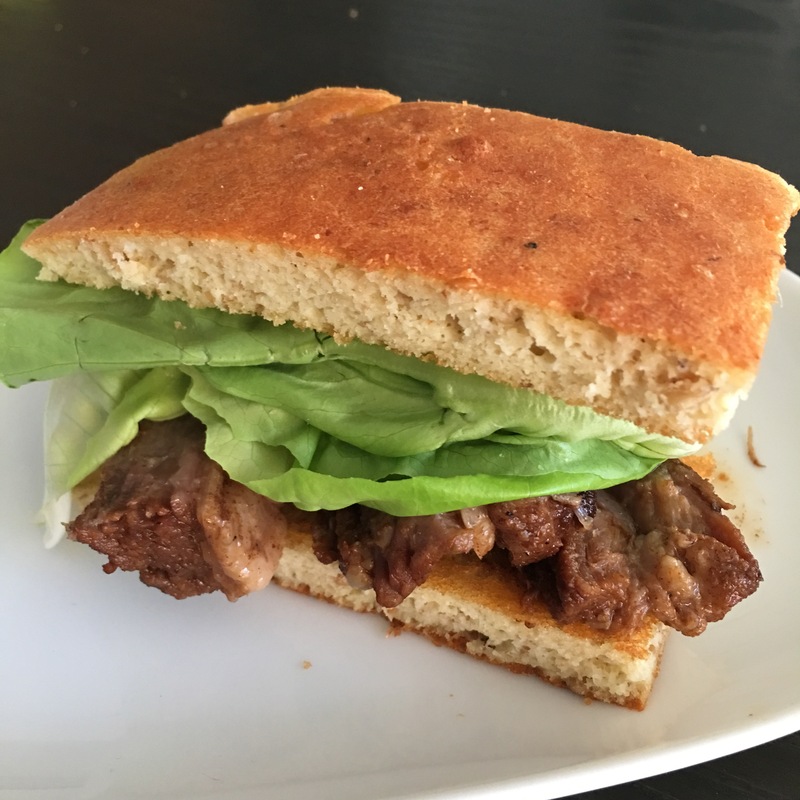 Doing this beef brisket was not exactly straightforward for me – eating low carb meant that I had to make low carb buns and a low carb BBQ sauce. So in the end the beef brisket did not really look like Guy Fieri’s version, but I think it was a flavour bomb and I’m definitely going to make this recipe again. 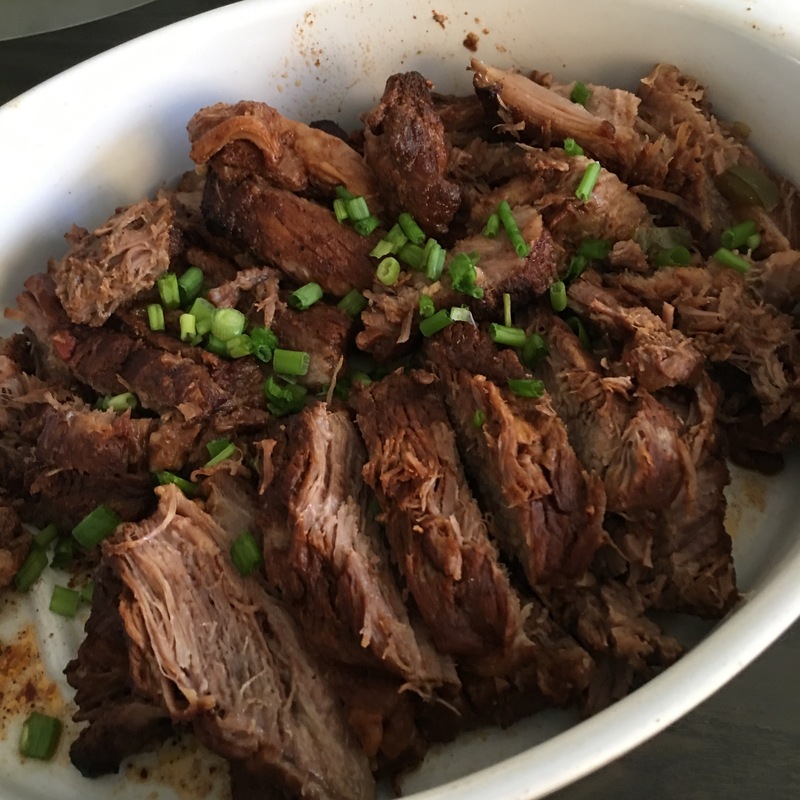 The beef brisket is a cheap meat, and making this more often wouldn’t make too much of a dent in the wallet, and the Instant Pot makes this a really easy and relatively quick meal to prepare for. In the end we did have beef brisket sandwiches for dinner, which was pretty unusual for us as sandwiches in our Asian brains is breakfast or lunch food, but not dinner food. But it was lovely – melt in the mouth beef power packed with zingy flavour. We had plenty of sauce left in the pot and this will probably go forward to the next meal of Instant Pot BBQ pulled chicken! Mix the spice rub ingredients and pat all over the pieces of beef brisket. Marinate at least 2 hours to overnight. Prepare the BBQ sauce. Add all the ingredients above into a pot over moderate heat and simmer, stirring occasionally for about 20 minutes. Set aside. Put the Instant Pot into sauté mode. Heat up the olive oil. Sear the brisket pieces, about 4-5 minutes each side. Set aside. Sauté the chopped onion, red pepper and green pepper for about 2-3 minutes till lightly caramelized. Add the BBQ sauce, beef broth, mustard, Worcestershire sauce, apple cider vinegar, dried pepper flakes and stir through. Add the beef brisket pieces into the pot, inmersing all the pieces. Add more beef broth if the pieces are not fully immersed. Put on manual high pressure for 45 minutes. Do a quick pressure release and remove the beef brisket pieces. Slice into 1 cm thick slices and lay out in a large casserole dish. In the meantime, put the Instant Pot back into sauté mode and reduce the sauce ( I left it for about 30 minutes). Ladle some of the beef brisket sauce over the cut beef brisket and sprinkle with spring onions. Serve with low carb bread. I used low carb Swedish Breakfast Buns recipe and doubled the recipe. Top the bun with the beef brisket slices and several leaves of butterhead lettuce. Serve immediately with lots of hand towels to allow the juicy gravy to roll down your fingers! Good to hear that! I started the blog because there are so few low carb Asian resources. Let me know if the recipes work for you!